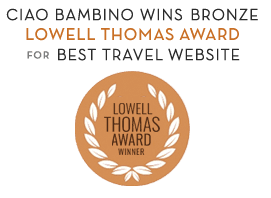 This is a guest post from Mara Gorman, my business partner at Best Family Travel Advice and the mom behind the much-loved family travel site Mother of All Trips. Atlantis Resort is massive and although many families rave about their experiences here, it’s challenging to figure out where to stay given the plethora of options and price points. Mara was there recently and I asked for her tips on deciphering the best accommodations. The Atlantis Resort in the Bahamas is an amazing seaside playground for kids and grownups. From the large water park, to the amazing number of marine animals, to the 11 pools, Atlantis offers tons to do – all of it with a beach view. I stayed at Atlantis with my then four-year-old son in the winter of 2010 (we were hosted by the resort, LEGO, and JetBlue) and we spent our three days there exploring every corner of this enormous resort, walking repeatedly from one end to the other so that we could swim in every pool and see every animal from sharks to sea turtles to rays. Our room was in the iconic Royal Towers. If you’ve ever seen a print or television ad for Atlantis, you’ve seen these buildings, which are connected by an ornate bridge. With an over-the-top lobby full of large aquarium tanks and one of the biggest indoor fountains I’ve ever seen, this is clearly the heart of the resort and the place to see and be seen. The rooms are large and comfortable, with the usual amenities (although no bathrobes!) but there is nothing spectacular about them and the decor is decidedly 1980s-at-the-beach. The primary advantage of staying in this portion of the resort is that you are close to everything: The water park, Dolphin Cay, the AKA Kids Club, and the main entrance to the largest aquarium named The Dig are all nearby. If you’re traveling with younger kids, are looking for a quieter area, or just want to save a little money, I would recommend considering a stay at one of the smaller guest rooms in the Beach or Coral Towers, which are on the opposite side of the resort from the Royal Towers. Teddy and I spent a lot of time in this part of Atlantis for several reasons. For one thing, it’s where the sea turtles are, safely away from the sharks that circle in Predator Cove. And the sea turtles aren’t all that is mellow here; there’s the Lazy River ride, where you can while away the afternoon with your little one in an inner tube, the Poseidon Pool with a fountain and play area for toddlers, and the River Pool, my favorite, which has a huge zero-entry area that’s perfect for younger kids and has a gorgeous view of the ocean. And finally, the hotels on this side of the resort is closer to the beach, so you want to spend the morning on the sand, but need to get back to your room for naptime, you won’t have far to go. The lobbies for both the Beach and Coral Towers have been recently renovated and are modern and light-filled – great places to hang out with a cup of coffee before venturing out in the morning. Unfortunately I never got to tour one of the bedrooms there (I did peek in one of the Beach Tower rooms as I walked by an open door though, and it seemed perfectly nice) but they also have been recently redone. And since most of the resort is open to all guests, no matter where they are staying, you can still spend as much time in The Dig or the pools closer to the Royal Towers as you’d like. But you won’t have to listen, as I did, to a reggae band playing disco music until 10 p.m. on Saturday night. And when you’ve got a child who is sure to be up at 6 a.m., that’s a great thing. Can you see why we really didn’t spend much time inside? If I returned Atlantis, I would definitely spend a little less, take a smaller room, and use the money I saved for an in-room babysitter and dinner at Nobu. What a great post. I love the photo of the sea turtle. We saw baby turtles being realised into the sea in Thailand once, it was beautiful.